It was a large sign, glowing neon, hanging at the entrance to the exhibition. But this wasn’t MOMA—wrong continent. I was in Munich, but it also wasn’t the new Pinakothek der Moderne. No, the sign that caught my attention was hanging above a collection of statues in the Egyptian Museum, which moved to its new underground building across from the Alte Pinakothek in June 2013. 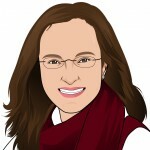 As you know if you’ve read my biography page, I’ve been interested in Egyptian history for a very long time, but I’d never visited the collection before. “All art has been contemporary”: according to my research, this neon work of art was inspired by a similar sign which hung on the Altes Museum in Berlin while it temporarily housed the collection of Berlin’s Egyptian Museum. The artist, Maurizio Nannucci, has produced similar works that hang in museums around the world, and the work in Munich was designed together with the museum’s director, Sylvia Schoske, in preparation for the move to the new building. Perhaps the sentiment was not original to the collection here, but the placement at the beginning of this exhibition is brilliant, and it reminded me of why I am a historian. As interested as I am in the ideological motivations of the movers and shakers through the ages, as fascinating as I find the words of Martin Luther or St. Augustine, I am convinced that we can’t really understand history without also examining the tiny details of everyday life. We must, if you will, walk a mile in their shoes, or at least imagine what it would have been like to do so. 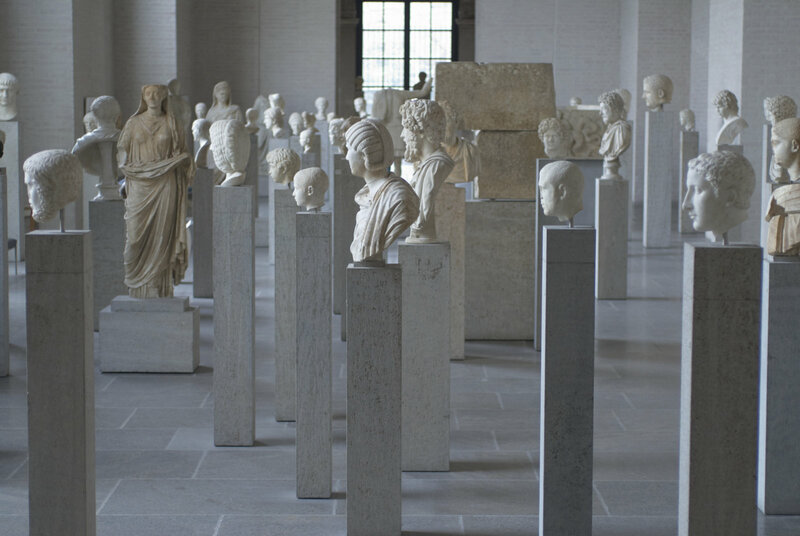 When I lived in Munich and regularly visited the Glyptothek, which houses a collection of classical statues, there were two aspects of the museum that appealed to me. 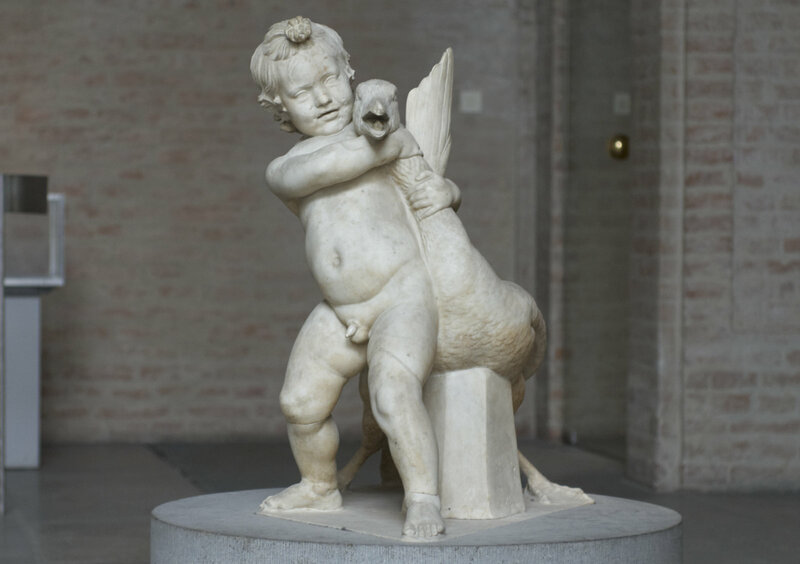 It includes several statues that stand alone as works of art—the Barberini Faun and the Boy with a Goose are two that I remember best. But the museum also includes rooms full of Roman busts fixed at eye level, and I could just imagine myself walking down a bustling Roman street, with my hair and toga carefully arranged and draped. Likewise, one unusual artifact from the Egyptian Museum stands out in my mind: between all the impressive statues and golden masks and mummy cases, one small glass case displayed a set of model cows. Considering the fact that they were made of wood and thousands of years old, they had an uncanny resemblance to the Playmobil figures that I routinely picked up off the floor at home. In fact, these were not toys but rather burial objects intended to depict the everyday scenes of this world even as those buried entered the afterlife. Toys or not, the model cows got me thinking about Egyptian children and their playthings. As historians we face a two-fold danger: on the one hand we cannot help but project our own mentalities and feelings onto the figures we study in the past. On the other hand, there is the danger of forgetting human universals and that, indeed, those we study were also “contemporary,” that they had their bad days, their hypocrisies, their internal contradictions, too. Once in a while, a child probably stepped on a toy and cried because it cracked under her foot. And perhaps those Roman men and women bustling to and from the market didn’t even think about how carefully their togas and hair had been arranged (allowing, of course, for the fact that those historical figures might have done themselves up for a portrait and asked the sculptor to use the B.C. equivalent of Photoshop). All art has been contemporary. All history has been the future. We have the benefit of hindsight. There are details of our lives that would astound those who have gone before. But there are details of theirs that have been lost for the ages. As historians, we have to hold onto those details which flesh out the humanity of our subjects even as we generalize about the greater meaning of the actions they took and the decisions they made. Historical scholarship shifts back and forth in this tension between the macro and wide-angle lens, and one without the other is incomplete. A museum visit inspires us to shift focus, and I can highly recommend both of the ones mentioned here. My thanks to Dr. Sylvia Schoske, the director the Egyptian Museum, who wrote to inform me of a few factual errors in the earlier version of this post. First of all, my memory that the model cows were labelled as toys was apparently fabricated—perhaps the similarity to those Playmobil figures was simply overwhelming!—and they are in fact wood, not clay as I had presumed. In addition, Ms. Schoske outlined the history of the work of art by Maurizio Nannucci: my research had suggested that the work as produced independently of the collection and placed here after its completion, but Ms. Schoske was familiar with the artist’s work and commissioned this work for the museum, collaborating with him in every phase of design. ” All history has been the future.” I also love history and that little sentence so does resonate with me. Thank you for the journey. I always admired archaelogists and historians who have to decipher whole ‘contemporary’ life stories based on a ceramics fragment or a bone. What a wonderful essay. Most of the time, when we know about everyday life of the people before us history becomes so much more meaningful and often touching than just reading about “the events”. Real people lived before us and paved the way for us. These are easy things to lose sight of when examining the “grand scheme.” I enjoyed reading this. Thanks for posting! Yes, though it’s important not to lose sight of the “grand scheme,” as well!